Earn 3195 loyalty points when you order this item. 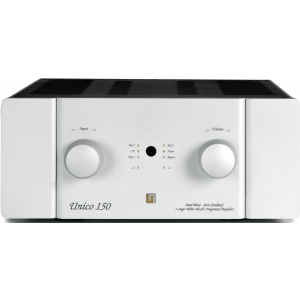 SAVE 20% on this Unison Research Unico 150 Integrated Amplifier only available now at this price due to a cancelled order. Bought by a customer and returned within our 30 day money back guarantee, this incredible amplifier benefits from the warmth of valve sound but the power of MOSFET. A very rare opportunity to save on this model but hurry, once stocks have sold, this listing will automatically disappear from our website. For more information, please visit our main Unison Research Unico 150 page.